The announcement ricocheted through the Twitterverse last night. 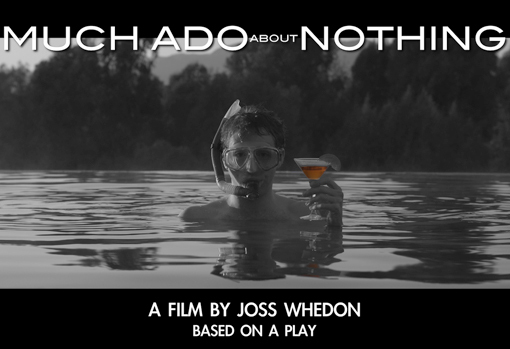 Somewhere between making the Avengers film (mmmm Thor), working on about a million Dark Horse comics, and a slew of other things, Joss Whedon has apparently been making a secret film based on Shakespeare’s play, Much Ado About Nothing. The feat of secrecy becomes even more astonishing when you look at the cast list: Nathan Fillion, Amy Acker, Alexis Denisof, Sean Maher, etc, etc. That so many faces from the Whendonverse managed to covert together without major fanboy alarms ringing is quite astounding. But the cast does make the prospect of the film an even more exciting one. With so many beloved actors in the mix, there are plenty of classic-literature-phobics out there who might overcome their fears long enough to see the film–maybe even long enough to read the play! Much Ado About Nothing is a Shakespearian comedy that follows two couples: Benedick and Beatrice, who claim to not be in love and who banter and bicker nonstop; and Claudio and Hero, who can’t even speak because they are so in love with each other. Add into the equation an evil trickster, Don John, and all sorts of misunderstandings and shenanigans ensue. What I am most curious about–besides who is playing whom–is the translation of play to film. Given that the image above has snorkel gear and a martini glass, I think it’s safe to assume that the setting will be modern. But what about the language? Will it be like the 1996 Romeo+Juliet, a film that actually managed to make the famous love story even more meleodramatic by using the original Shakeperian script in a modern setting? Or will it lean more towards West Side Story, with modern language and maybe even a few songs mixed in? Either way, I’m pretty excited about this mystery film. This entry was posted in literature, TV and tagged film, movie, Much Ado About Nothing, Shakespeare, Whedon, whendonverse. Bookmark the permalink. I heard about this today too — very excited. We saw “Ado” a couple of years ago on stage. It was a ton of fun. Very curious to see what view the Whedonverse takes on it! “Much ado…” is probably my favourite Shakespeare. And Joss Whedon has got to be right up there amongst my favourite pop-culture figures. I suspect he can do a little magic here. I also wouldn’t be surprised (or disappointed) if he sprinkled it liberally with music. I did the same thing. I got the tweet from Nathan Fillion on Sunday night and was very ‘meh’ about it. It wasn’t until Monday morning that I got really excited about it! I so hope there is music! Wow, look forward to that one! Don’t know what happened to my name in the comment above! Me, too. I definitely believe that the man can do no wrong.